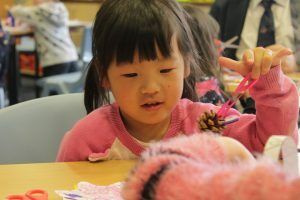 We had the pre-schoolers over from Tiny Adventures, and as we are about to break up for Easter we decided to make bunny pinecones and decorate fridge magnets to look like Easter eggs. 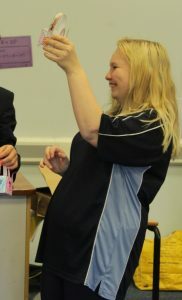 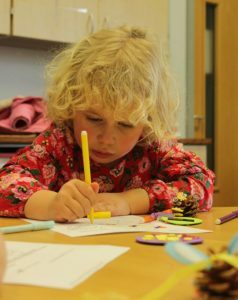 The children enjoyed being creative and we love seeing them be so enthusiastic. 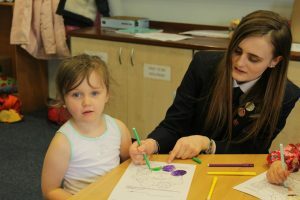 When we see the children we try to make them happy, and each time they come back with a brighter smile and never fail to make us students feel special. 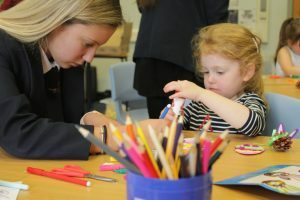 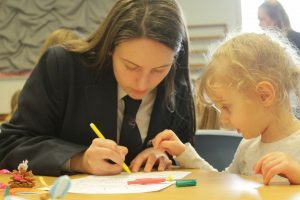 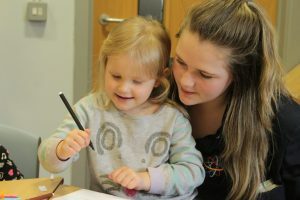 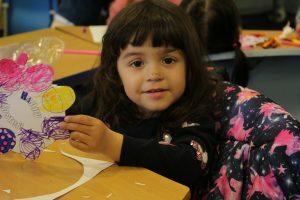 During our Enrichment time with the Nursery we have really connected with the children and each found a bond with a specific child. 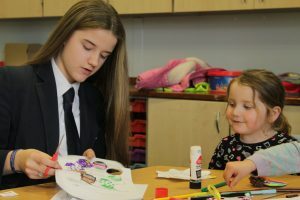 I know from speaking with some of the other students that they will miss having a small child to help, rather than being with people their own age. 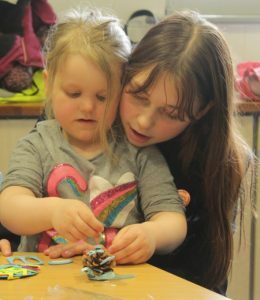 Each of us will miss them all and wish them well for their futures.